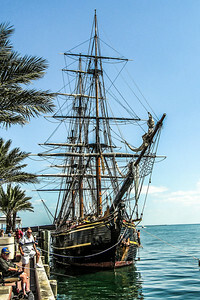 HMS Bounty docked at the St. Pete Pier. For the 1962 film, a new Bounty was constructed in Nova Scotia. For much of 1962 to 2012, she was owned by not-for-profit organisations whose primary aim was to sail her and other square rigged sailing ships, and she sailed the world to appear at harbours for inspections, and take paying passengers, to recoup running costs. 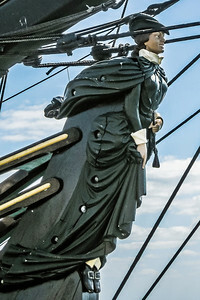 For long voyages, she took on volunteer crew. On 29 October 2012, sixteen Bounty crew-members abandoned ship off the coast of North Carolina after getting caught in the high seas brought on by Hurricane Sandy. The ship sank, according to Coast Guard Air Station Elizabeth City, at 12:45 UTC Monday 29 October 2012, and two crew members, including Captain Robin Walbridge, were reported as missing. The Captain was not found and presumed deceased November 2, 2012. It was later reported that the Coast Guard had recovered one of the missing crew members, Claudene Christian, who was apparently the great-great-great-great-great granddaughter of Fletcher Christian, the sailing master of the original HMS Bounty. Ms. Christian was found to be unresponsive and pronounced dead at Albemarle Hospital in Elizabeth City, NC. 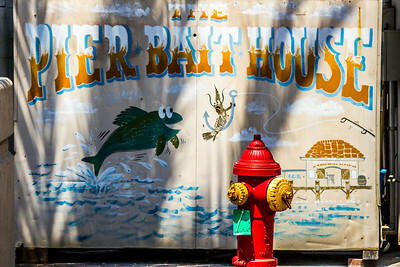 Welcome to The Pier Bait House in beautiful downtown St.Petersburg, Florida! It was a full service bait and tackle store offering a variety of live and frozen baits, tackle, rod and reel rentals, and private fishing charters. For those not looking to fish, they offered snacks and convenience items too. Don’t forget about the famous Pelican feeding! You didn’t want to miss the opportunity to get up close and personal with these historic birds! 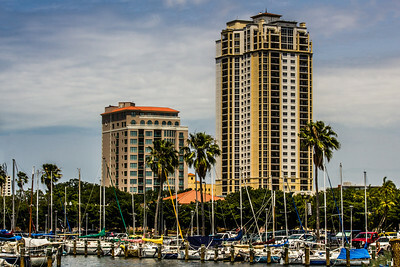 The St. Petersburg Pier, known locally as The Pier, is a landmark and tourist destination extending into Tampa Bay from downtown St. Petersburg, Florida. 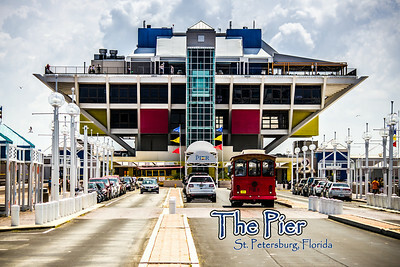 The Pier features a five-story inverted pyramid-shaped building. Constructed in 1973, it was designed by St. Petersburg architect William B. Harvard, Sr.. May 31, 2013 was the last official day for the public to visit the pier. 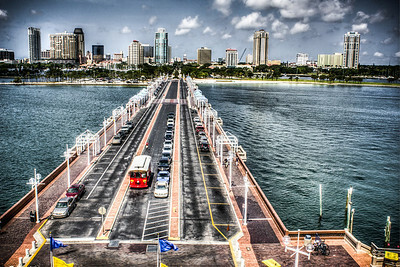 The City of St. Petersburg, Florida had planned to demolish and replace it, until a voter referndum rejected the new Lens pier design. 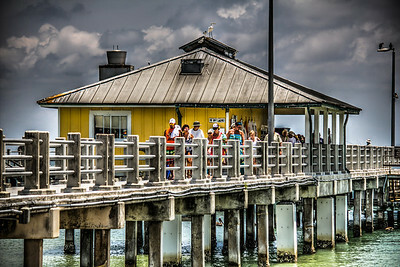 Before its closure, activities and sights offered at the pier included shopping, dining, nightlife, fishing, boat rentals, weekly festivals, and the Pier Aquarium. The aquarium was located on the second floor. A branch of Ybor City's Columbia Restaurant was on the fourth floor and Cha Cha Coconuts Tropical Bar and Grill on the fifth floor. The first floor included a Concierge Center, specialty shops and galleries, Waterside Grill & Bar, and the Dockside Eatery food court with burgers, pizza, ice cream and Chinese. Local bands were featured in Courtyard by the Bay every Sunday afternoon.